This is a good way to incorporate vegetables if you lack any, and eat them in a different way. 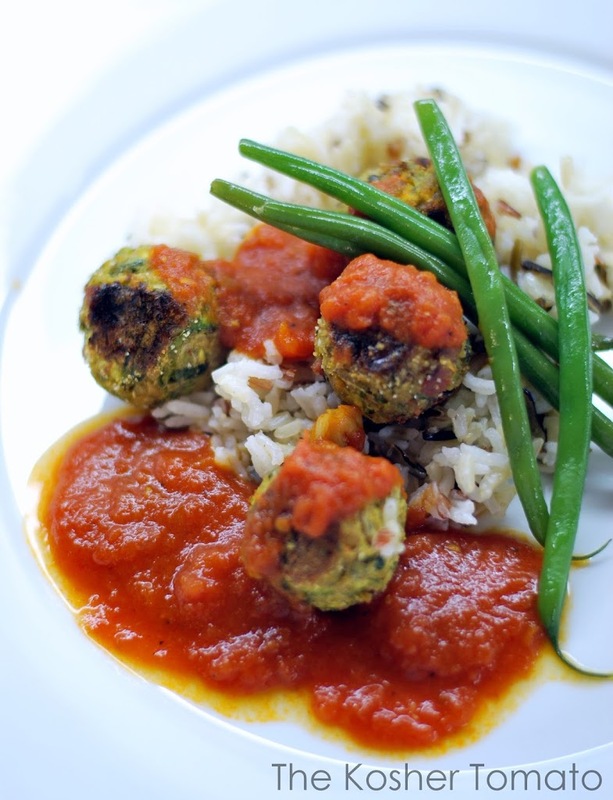 A lot of people are into the “spiralized” zucchini instead of pasta, and that’s one option for replacing pasta – but this gives you a replacement for your meatballs which can satisfy your vegetarian friends, and even you. I like to serve this with rice instead of pasta, because it seems to absorb the sauce better. Also, my mom always served meatballs with fluffy flavorful rice, so this just seems more natural to me. You might even want to go crazy and make the spiralized vegetables as your pasta and serve this as your meat! Feel free to incorporate more or different vegetables, and even different sauces. A good vegetable to add in here would be caramelized mushrooms. I did not have them on hand while testing the recipe, but it makes for a great meaty flavor and mouth feel. 1 Tablespoon olive oil for pan frying. 2. Get you pan very hot first, add oil and then pan fry all the balls until golden brown on all sides. 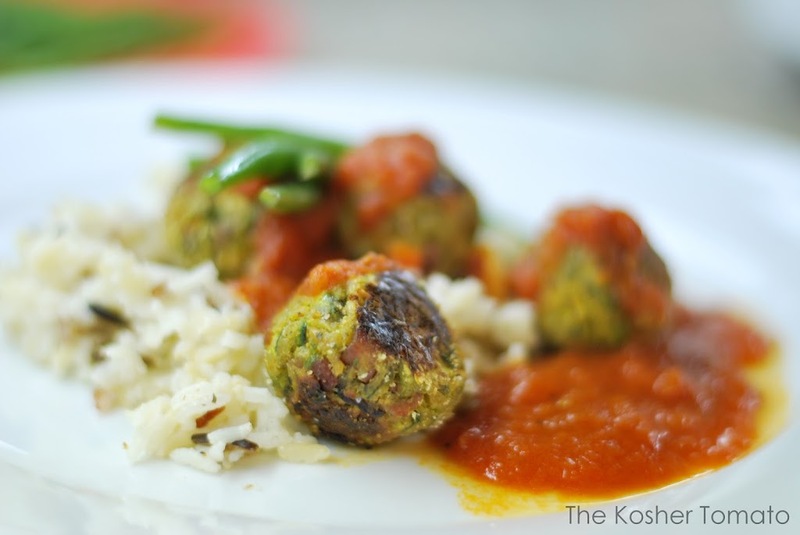 Serve with your favorite sauce, over rice, pasta or even in a pita like falafel! I love this recipe and will try it on this Friday for a family dinner. Perfect! Thank you?? Do you measure a 1/2 a cup of chick peas and then mash them, or do you mash a bunch of chickpeas and then measure 1/2 a cup of the mash? How much oil should you use to fry? This came out with an incredible amount of liquid and even though I squeezed out a lot, the balls fell apart when I fried them. This ended up as a kugel. Will this recipe freeze well?! Yes, freeze the balls before cooking them and then defrost them well and pat dry before sauteing in hot oil. Also, try roasting them in a 400F degree oven. You can try roasting in a high temperature oven (400 degrees F) but I haven’t tried it.